In an effort to get back into the practice of expressing gratitude, here are a few things I’m feeling thankful for this week. Preschool. My daughter just started 2-year-old preschool last week, and it seems to be going well. It feels so good to have a few hours a week free to focus on housecleaning, errands, writing, etc. while she’s in school. Also I’m excited for us to get to know some other families since we still don’t know many people in town. The trampoline gym. Cheap entertainment and exercise for the little one! A nice variation from visiting a park. 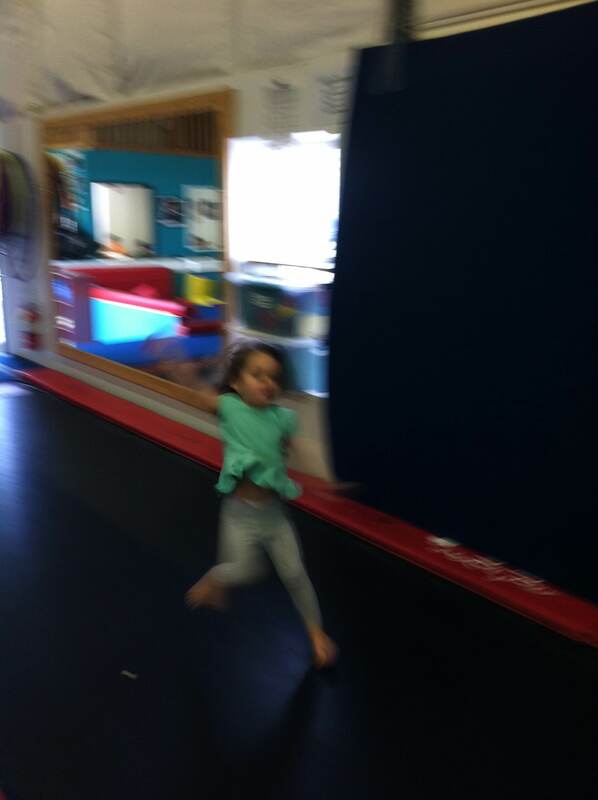 A whirlwind of motion at Bounce Trampoline Gym. Fall. I love the change of seasons, the anticipation of fall holidays, and the general business of this season. I really enjoy being involved in lots of activities and many activities start up again in the fall. Old friends. There’s something so wonderful and comforting about friendships that you’ve had for years. I’ve had the chance to connect with several long-term friends this week. That always makes me happy. I’ve quit Facebook before. After I graduated college in 2006, I got married, decided I didn’t need to stay superficially connected to such a large number of acquaintances, and canceled my Facebook account. But over the next few years, Facebook transformed from a college social network to a worldwide phenomenon. In grad school, I realized I was missing out on social invites that were happening via Facebook (or then again…maybe people just didn’t want to invite me). So, in 2009 I rejoined the world of online social networking. Have there been positives to having a Facebook account? Sure. I started getting invited to a lot more events and attending many of them. (And then I became a mom). One former close friend who I’d lost touch with did contact me on Facebook and we ended up getting together once when she was in town. Sometimes I’ve enjoyed sharing photos and updates from my life and getting responses. And it can be a convenient online scrapbook. 1) Jealousy. Admit it, you know what I’m talking about. People post about highlights from their weeks, their summers, their years. And Facebook posts the highlights of their highlights at the top of your News Feed. It makes me think, why is everyone else’s life so much fun than mine? Or hey, why wasn’t I invited to that party? Or, Wow, that’s great that your 6-week-old sleeps through the night. Congrats. On this topic, one of my writing buddies wisely said, “Don’t compare your inner world to someone else’s outer world.” Meaning, someone’s life might look great on social media but you don’t know what that person is thinking and feeling. And if I just posted all the highlights of my summer online, my life might seem more than fun than it really is on a day-to-day basis. 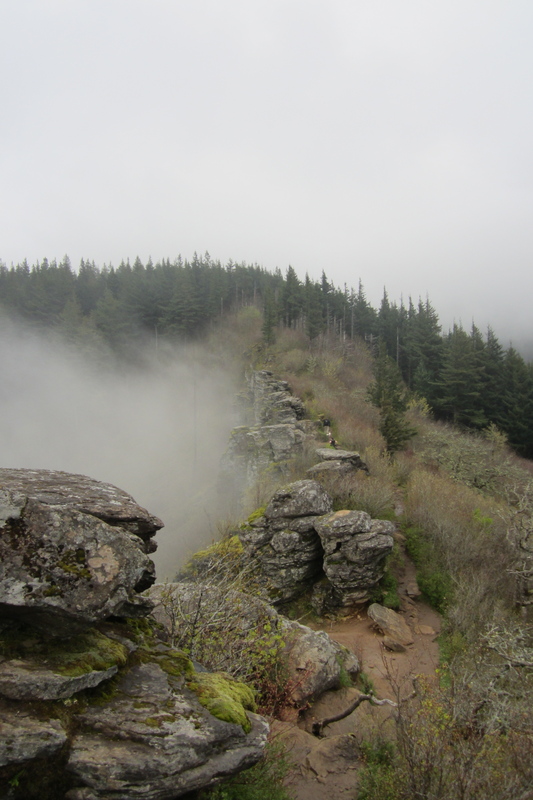 Weekend trips to Portland, the beach, a toddler-free hike at Tamolitch Falls, a visit to the Wildlife Safari. Or I could go back in time and throw in some of my life highlights if I really wanted to skew reality and make others jealous. Look at that! 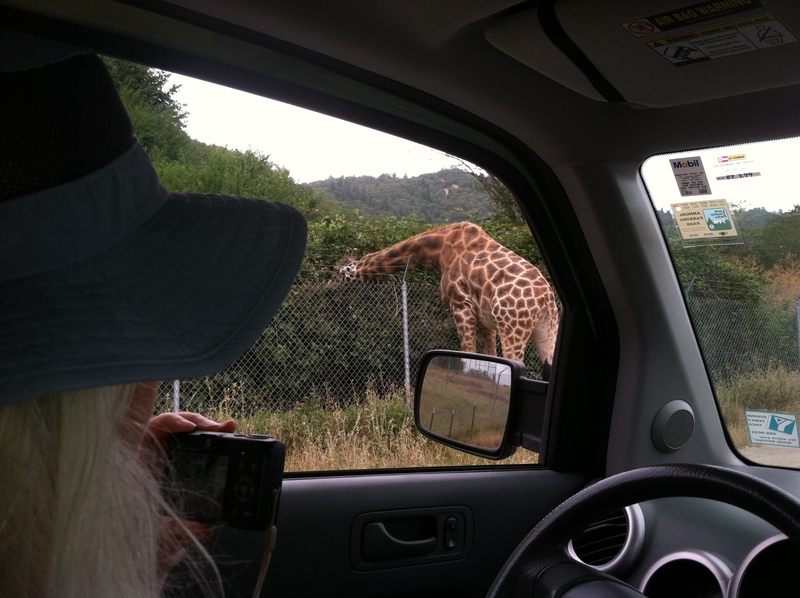 A giraffe right outside our car window! My life is exciting! 2) Annoyance. Sometimes status updates are just annoying. Thankfully, I rarely see annoying political posts, because I’ve hid the few people who are obnoxious about politics. My annoyance is more along the lines of: Glad I could find out about your important life event via your FB status update! (This is reserved for former close friends, members of my wedding party, etc., not random co-workers or people I used to go to church with). Though, undoubtedly to me the most annoying person on Facebook is The Narcissist. Need I elaborate? I’m sure you have at least one, if not many, Narcissists within your social media circle. The friend who posts just a few too many selfies, always in a bit too perfect lighting, always with a bit too perfect of a pose. The Narcissist would not, as I have done, post of photo of herself holding her newborn baby after staying up all night in labor — wearing no makeup and not having showered for several days. The Narcissist would however post several shirtless photos of himself that nicely highlighted his washboard abs. If you are The Narcissist, I doubt that you recognize yourself in these words. But if you do recognize yourself here then I would say to you a) Maybe there’s more to life than being really really ridiculously good-looking but also b) Congrats! Recognizing you have a problem is the first step to getting better. Then again, maybe I’m just jealous that I don’t photograph well. 3) Who is that person? Most of my Facebook friends are people I only vaguely know. Malcolm Gladwell wrote that the human brain is only designed to handle a community of about 150 people, and only about a dozen close relationships. So even if I have more than 300 Facebook friends, my brain cannot really keep track of more than 150 of those relationships. And is it healthy to keep so many random acquaintances in our online community? Like, do I need to read updates about someone I met once 5 years ago? Am I just a cranky, anti-social depressive? Perhaps. But I do enjoy talking to people about the interesting things happening in their lives. I’ll even look at your vacation photos if we hang out in person. It’s all just a bit overwhelming, impersonal, and out-of-context when I look at my Facebook News Feed. I have a hope that if I get rid of Facebook, I may put more effort into connecting with friends directly via phone, e-mail and hanging out. What do you think about Facebook? Do you enjoy using it? Did you cancel your account years ago and feel that your life is better without it? Or is it a necessary evil? The festive busyness of the holiday season is over. A bone-chilling fog, evocative of a dementor infestation, has enshrouded Eugene for the past week. And I have just been informed by Target that the Russian mafia may now be in possession of my personal contact information and credit card number. My instinctive reaction is to sit on the couch with a warm blanket and microwaved popcorn and binge-watch old Parks & Recreation episodes on Netflix. But, this may not be the best way to combat the January Blahs. Sometimes it takes a little effort to climb out of the fog. Going to church regularly, reading the Bible and seeking God through prayer are my most important tools for maintaining a positive outlook on life. And the research backs me up on this — religious people tend to consider themselves happier than the nonreligious. Though I don’t feel much like running when the whether is cold and gray, I feel so much happier and relaxed when I do. If you’re not a runner you might try walking, biking, swimming or taking a dance class. What’s good for your body is also good for your brain. Amidst the craziness of caring for my toddler, I need to remember to fuel my body with fresh fruit, veggies and lean protein — and limit my sugar intake. I also increase my Vitamin D intake in the winter, and take care to continue taking Omega 3 supplements. I’ve realized that having something fun to look forward to is important. I used to look forward to weekends, but now that I’m a mom I don’t really have weekends “off.” Also my husband works long stretches of 12 days on and 2 days off. So I’m trying to make the effort to plan little things to look forward to. Last weekend we went to the movies for the first time since before our daughter was born, and in a few months we’re going on an actual vacation. Participating in fun activities also gives the added benefit of having positive memories to look back on. Win-win. Like exercise, laughing releases endorphins and boosts mood. So maybe it’s okay to snuggle up on the couch and watch Parks & Recreation episodes from time to time. It’s easy to take for granted the blessings I do have and instead focus on what I don’t have. Practicing gratitude helps me re-frame my perspective to view my life in a more positive light. Even simple things can be worth expressing thanks for. Some things I’m thankful for today are my morning into the sunshine, my dishwasher, and the lavender latte and pastries my husband brought home for breakfast. Even though I’m rarely alone, I still get lonely from time to time. I mean, conversations with my 1.5-year-old can only go so deep. When I start feeling lonely, I know that it’s on me to reach out to others, rather than wishing that others would reach out to me. What are some strategies you use to boost your mood when you’re battling the blahs?